If I'm being honest, I didn't see this video as anything special. There's nothing explicitly bad about it, it's just exactly like watching a playthrough of the game. Which I assume is what you were going for, but it doesn't do anything for me. Glancing at the youtube comments, though, it seemed like most others enjoyed it, so I guess there's at least a niche for these things. Thank you, we appreciate the feedback. I guess what we were going for was a similar experience to playing the game, as you said. I think I might actually have seen that one already. You did stick to the game very well though. It's funny that you say that, because we have been considering doing something like that lately. We just may end up doing something like that. 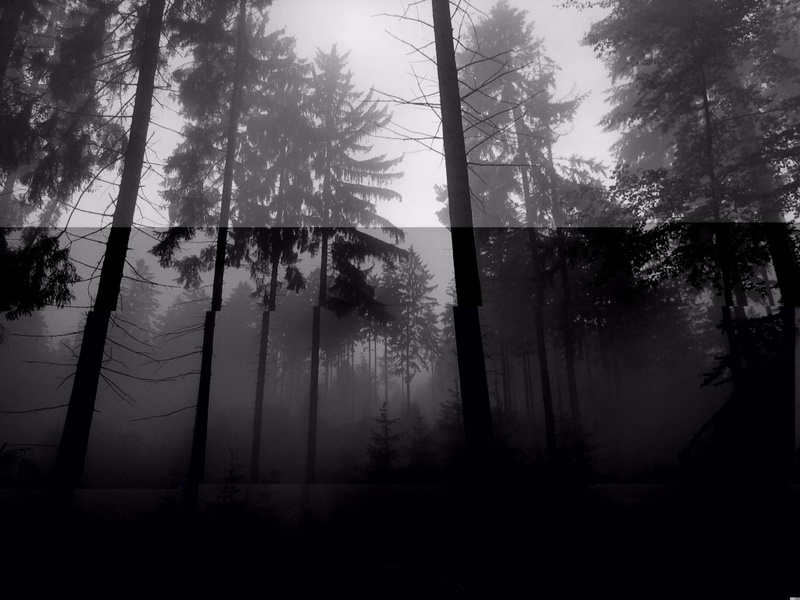 One could argue that anything that's meant to follow the template of Slender isn't original at all. Honestly? Not really, Envoy - it's not just you, I'm a bit sick of the Slender fanfilms too. If you're gonna do it, do it well, not just a movie version of the game. That's a bit boring. I would argue that it is original because we made all of the footage and effects ourselves. The whole point is for it to be like the game. And if it's intended to be a direct clone, it cannot be original. And dont even get me started on slender itself. There's a big difference between having original footage and an original concept. Have you watched any existing slendervlogs before this, to get a feel for what people immersed in the mythos actually want to see? 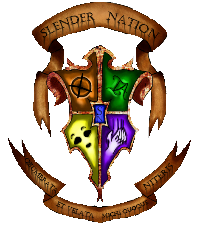 As much as I'm a nice person and hate being "That Slenderfan", that... doesn't make much sense. What you're arguing is that because you filmed everything on your own, the idea itself is original. But it's not. It's taken from a game that someone else made. Just because you film a scene does not make that scene original. If I copied down Edgar Allen Poe's "The Raven" verbatim on a sheet of lined paper with a bright green ink pen, that does not make it my "original" poem - it's still Poe's poem, he still wrote it; I just copied it down in bright green ink pen onto lined paper. Similarly, what you've done here is taken the game and made a copy of it by filming it. That's called an adaptation, not an original piece of work. If I wrote a novelization of Marble Hornets, that does not make it my personal work. It still belongs to Troy Wagner and Company and it's still THEIR work, not mine. All I have done is adapt it for the written word. Don't get me wrong, there's nothing wrong with adaptations. Pretty much all Slenderseries adapt different parts of the Mythos and different theories about Our Slender Friend in some way. The difference is, they do it while telling a story that goes beyond just Slenderman and the Mythos proper. You have stories that are action, stories that are urban fantasy/steampunk/dystopian scenarios, stories that are romances, stories that are dramas, stories that are pure horror or Lovecraft-flavored, stories that are mysteries, stories that are all about the tension between friends that are suffering together, etc. The only real common thread is that Slendy's involved somehow and the protagonists are wrapped up in it. That's what makes the Mythos fun and interesting - you can tell a lot of stories with a minimal setting. I realize you were trying to adapt the game, and if that's all you were doing, then you did a pretty good job of it. But I still would love to see some original stuff from you, and the way you phrased it above as it being "original" just because you did all of the filming and special FX on it is kind of irritating my perfectionist side, that's all. Long story short, I have to ask the same thing BananaBrains did - have you watched any of the many, many series out there and do you have a feel for what Mythos fans really want, or are you flying blind based on what little you have from the game? At the very least you should read some Creepypastas or something. I can give you research links if you need more help; I must have about a dozen links to different series, ARGs, and research websites pertaining to this Mythos. I myself have watched about half of the Marble Hornets series, while my friend (who helped make the video) has watched the series in its entirety. I understand what you are saying, I think we are just defining "original" in a different way. The idea was for it to be an original fan film meaning we got all the footage, made the special effects, etc. We just threw the word "original" in there to show that we had made it all ourselves. We did not intend for it to be a topic of debate, we just wanted to be able to say that we made everything ourselves. And, to respond to TheFallenenvoy above, it is still original. The point of us making the film was for it to be like the game. That was our sole purpose. Because we made all the footage/effects ourselves, it is original. We are not saying that the idea of slender is our idea so it is original that way, we are just saying that we produced the content. This whole conversation has been brought about by our miscommunication of what we meant by "original". And finally, we were not really trying to appeal to the audience of the slender man mythos series that are out there. We weren't going for suspense and plot, but for a real life recreation of the game. Okay, I'll back off because I don't wanna start a flamewar or anything and I doubt this is something we'll ever agree on. I never meant to offend or otherwise come off as hostile; I apologize if I did.